True 550 Yard Ranging Capability: For virtually any hunting situation. Easy-to-view Uncluttered LCD Display: For fast, easy ranging, even in bright sunlight. 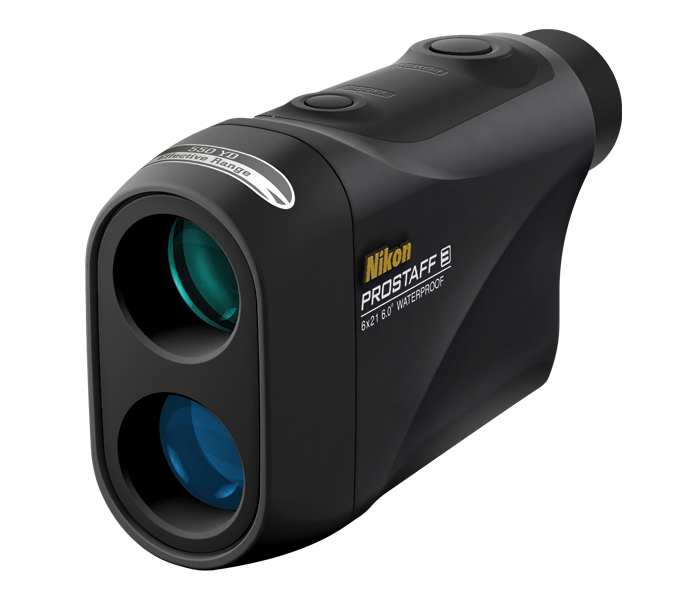 Bright, Multicoated 6x Optics: Nikon’s legendary optics and proprietary anti-reflective coatings offer high-resolution images in most lighting conditions. Single Button Operation: For fast, easy measurements. Automatically powers down after 8 seconds to reduce battery use. Ultra-compact Size: Fits in a pocket or pack, and can be worn on a belt without interfering with your shot.